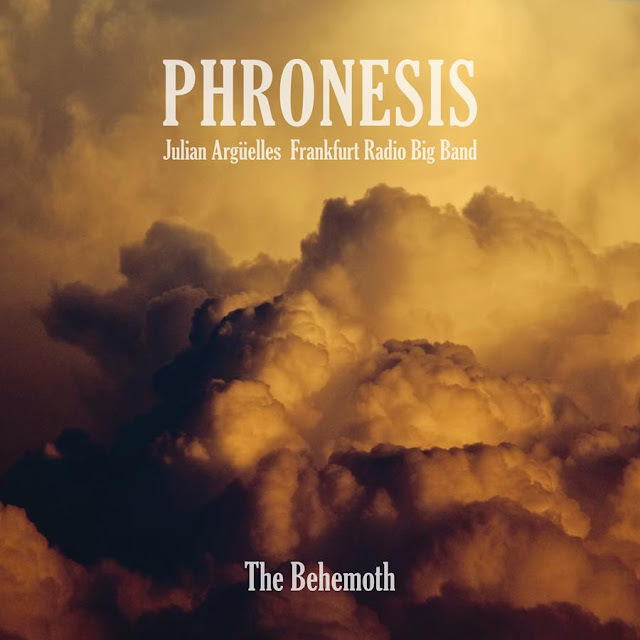 Phronesis have built a formidable reputation over the last decade as one of the most powerful and energetic small ensembles on the European jazz scene. Known for their virtuosity, dynamism and telepathic group interplay, the trio have commanded impressive media attention and established a substantial fanbase on a global level. Following six critically acclaimed trio albums, the band have now completed their most ambitious recording to date with the release of The Behemoth. Consisting of ten arrangements and re-imaginings of compositions from their back catalogue by Julian Argüelles, this remarkable, vibrant new album featuring the Frankfurt Radio Big Band is rich in colour and bursting with spirit and creativity. Julian Argüelles plays a pivotal role throughout this album, demonstrating his masterful ability as arranger and conductor, and also appearing as a soloist on Eger’s ‘Urban Control’. All three members of the trio have been long time admirers of Julian’s playing, writing and arranging and when an opportunity arose for them to collaborate, they all jumped at the chance. Likewise, the Frankfurt Radio Big Band have an impressive story, having been one of the key radio big bands in Europe for many years, collaborating with a plethora of international jazz artists . Tackling the music of Phronesis is no easy task for any large ensemble, but with Julian at the helm, they met the challenge with creative energy. 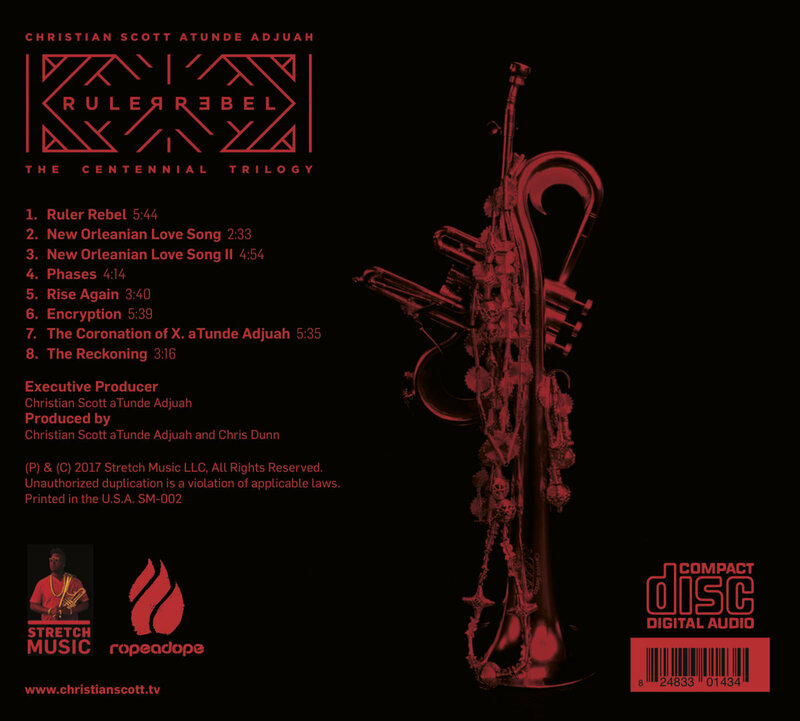 Two-time Edison award winning, Grammy nominated trumpeter, composer, producer, designer of innovative instruments and interactive media Christian Scott aTunde Adjuah is set to release three albums to commemorate the 100th anniversary of the very first Jazz recordings of 1917. Collectively titled The Centennial Trilogy, the series is at its core a sobering re-evaluation of the social political realities of the world through sound. It speaks to a litany of issues that continue to plague our collective experiences. Slavery in America via the Prison Industrial Complex, Food Insecurity, Xenophobia, Immigration, Climate Change, Sexual Orientation, Gender Equality, Fascism and the return of the Demagogue. The first release in the trilogy, Ruler Rebel, vividly depicts Adjuah's new vision and sound - revealing Adjuah to the listener in a way never heard before via a completely new production methodology that Stretches Trap Music with West African and New Orleanian Afro-Native American styles. Ruler Rebel is set for pre-order on 2/17/17, to coincide with the first annual Stretch Music Festival at Harlem Stage. The Stretch Music Festival, created and curated by Adjuah, explores the boundaries of Stretch, Jazz, Trap, and Alternative Rock with some of music's most poised and fiery rising stars. 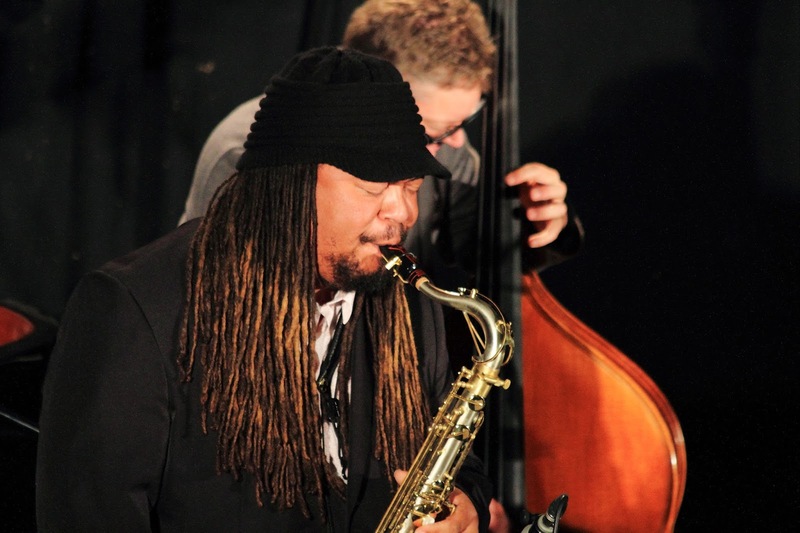 The festival consists of five days of events, culminating with concerts on February 17th and 18th at Harlem Stage with performances by Butcher Brown, Braxton Cook, Venus, The Bridge Trio, Sarah Elizabeth Charles, and Matthew Stevens. 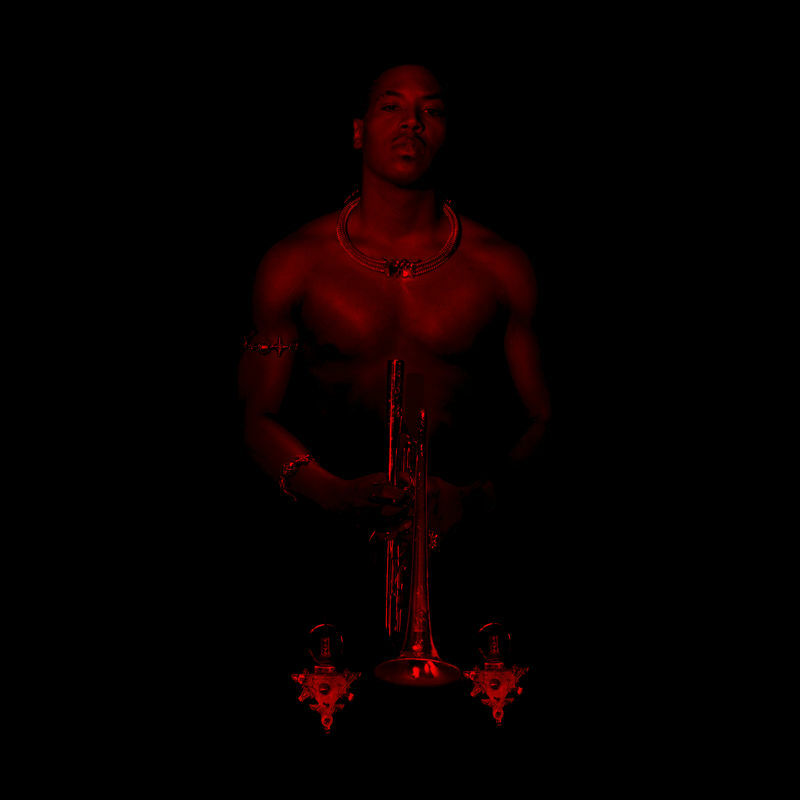 NPR raves "Christian Scott ushers in new era of jazz." 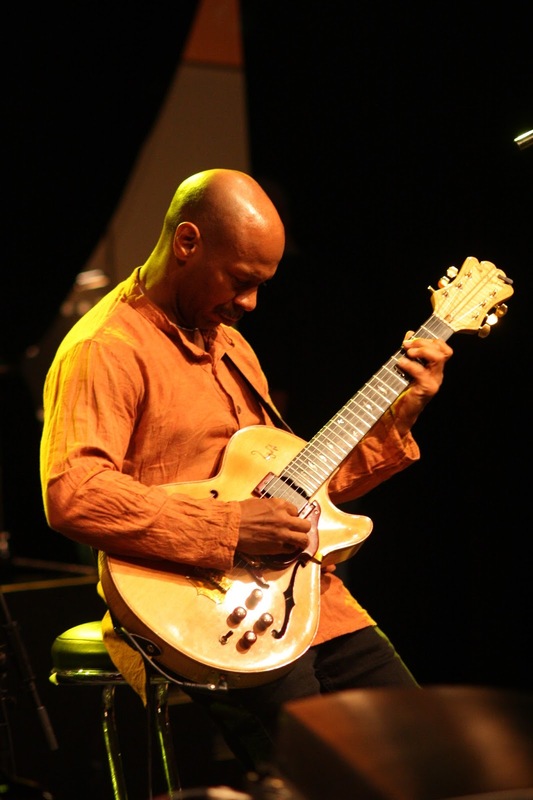 He has been heralded by JazzTimes magazine as "Jazz's young style God" and "the Architect of a new commercially viable fusion." 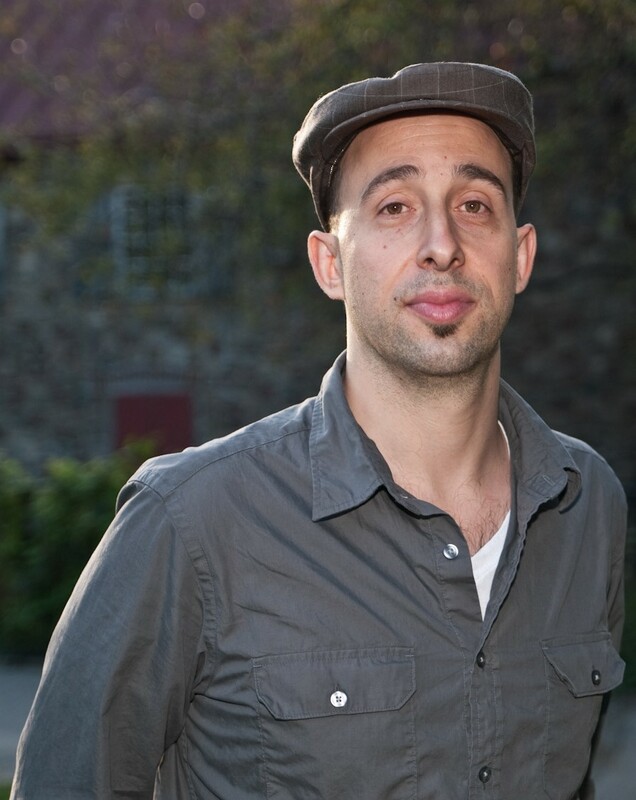 In 2016 Adjuah won JAZZFM's Innovator/Innovation of the year honor along with the Downbeat Critics Poll Rising Star Composer to go along with his many wins for Rising Star Trumpet. 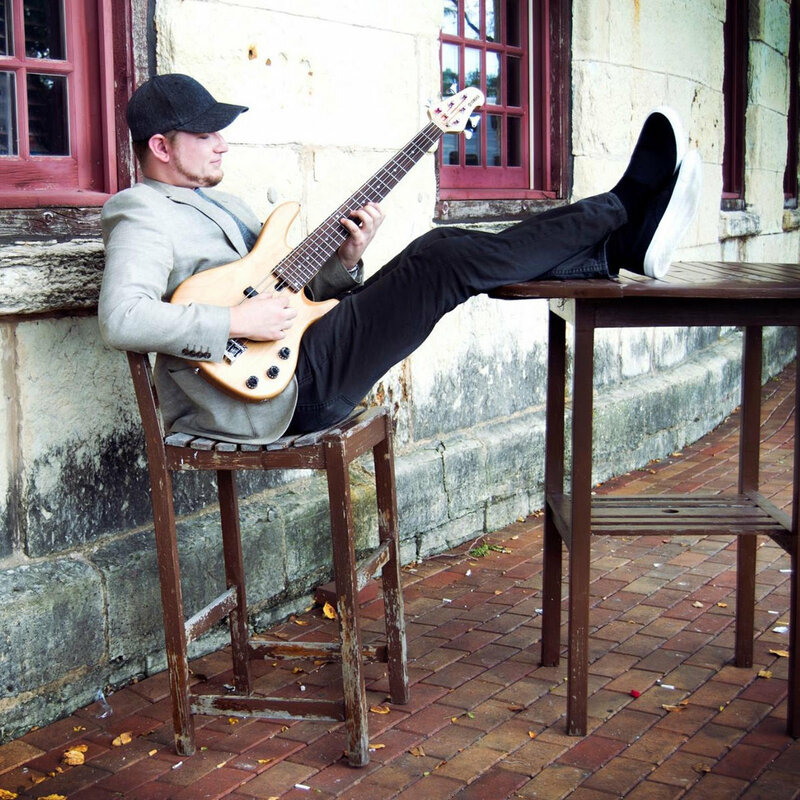 Christian is the progenitor of Stretch Music a genre blind musical form that stretches the rhythmic, melodic and harmonic conventions of Jazz to encompass many musical forms, languages, thought processes and cultures. The release will be accompanied by Adjuah's award-winning Stretch Music App - The first Interactive media player of its kind, refitted for The Centennial Trilogy. 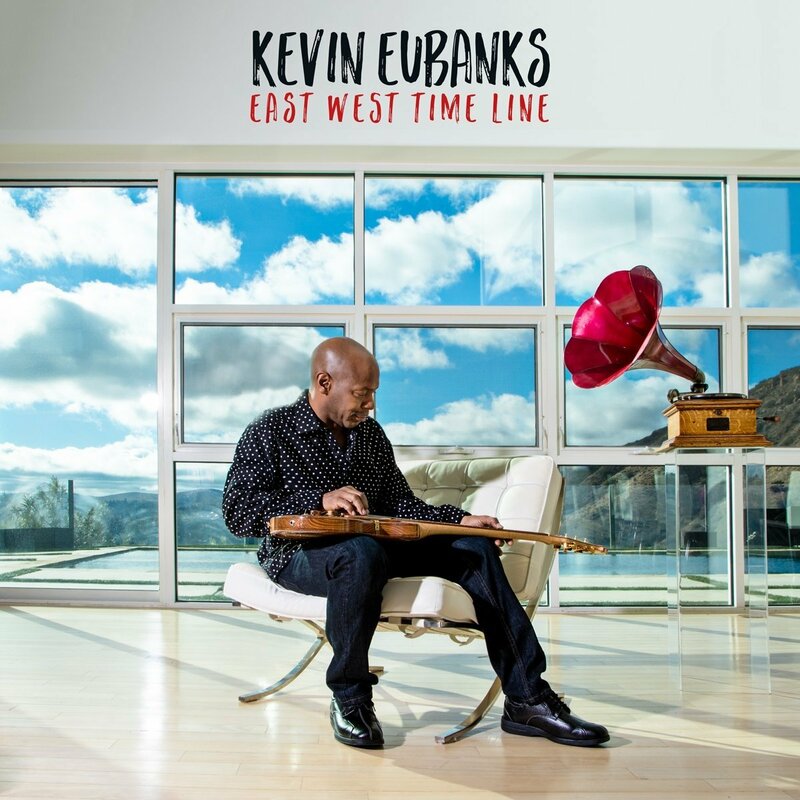 Joining Eubanks on this stellar outing are longtime collaborator and former Berklee College of Music schoolmate, drummer Marvin “Smitty” Smith, who fuels the West Coast outfit alongside seasoned session bassist Rene Camacho, percussionist Mino Cinelu and saxophonist Bill Pierce. Smith’s East Coast counterpart on this bi-coastal session is the irrepressibly swinging Jeff “Tain” Watts, a force of nature on the kit who combines with bassist Dave Holland, Philadelphia-based pianist Orrin Evans and New York trumpeter Nicholas Payton for a potent lineup. 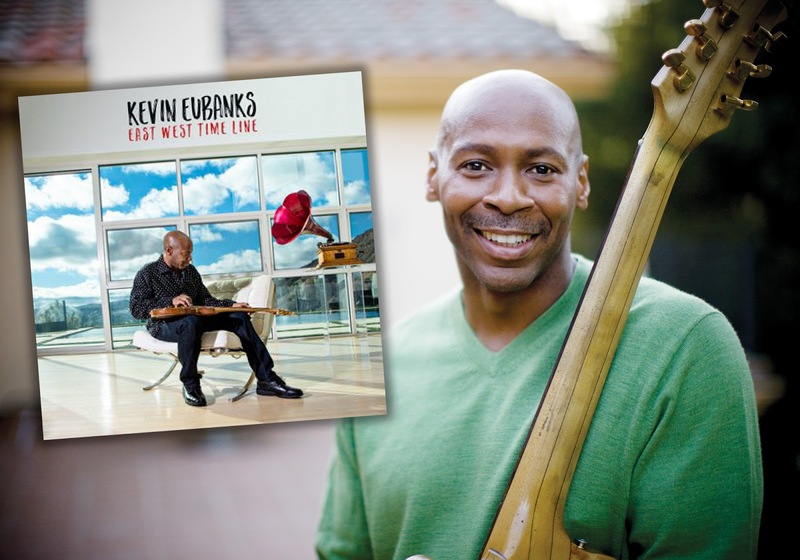 Together these great musicians bring out the best in Eubanks’ six-string prowess and ignite his searching instincts throughout the sessions in Los Angeles and New York. Featuring Dayna Stephens (tenor & baritone saxophones, EWI, synthesizer, bass-on trk 9), Brad Mehldau (piano, tack piano-trk 4), Julian Lage (guitar), Larry Grenadier (bass) & Eric Harland (drums & cymbals). Gratitude, saxophonist/composer/bandleader Dayna Stephens’ eighth album as a leader, is a gift from Stephens to the world, and to himself; simply an album of beautiful music played by a group of master musicians, led by one of the scene’s leading artists, that can be enjoyed by the connoisseur or the casual listener. 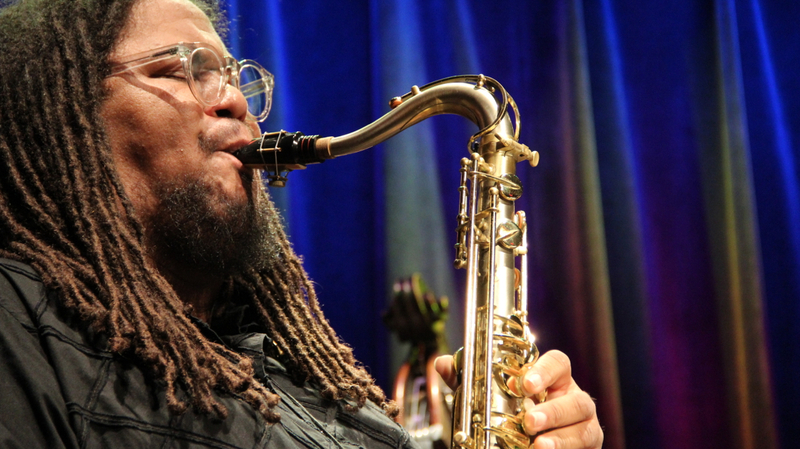 And, on a deeper level, an expression of gratitude from the saxophonist, for the warmth, love, peace and strong connections he has shared with friends, family and fellow musicians, as he climbed his way back to health after fighting Focal Segmental Glomerulosclerosis (FSG), a rare kidney disease. 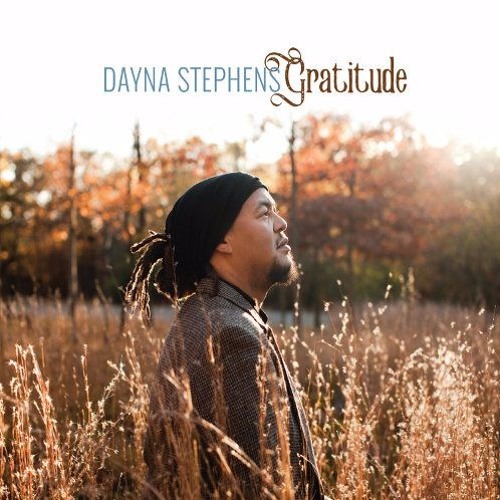 Gratitude, featuring Dayna Stephens (tenor & baritone saxophones, EWI, synthesizer, bass-trk 9), Brad Mehldau (piano, tack piano-trk 4), Julian Lage (guitar), Larry Grenadier (bass) and Eric Harland (drums & cymbals), will be released on April 7, 2017 on Stephens’ new label, Contagious Music. 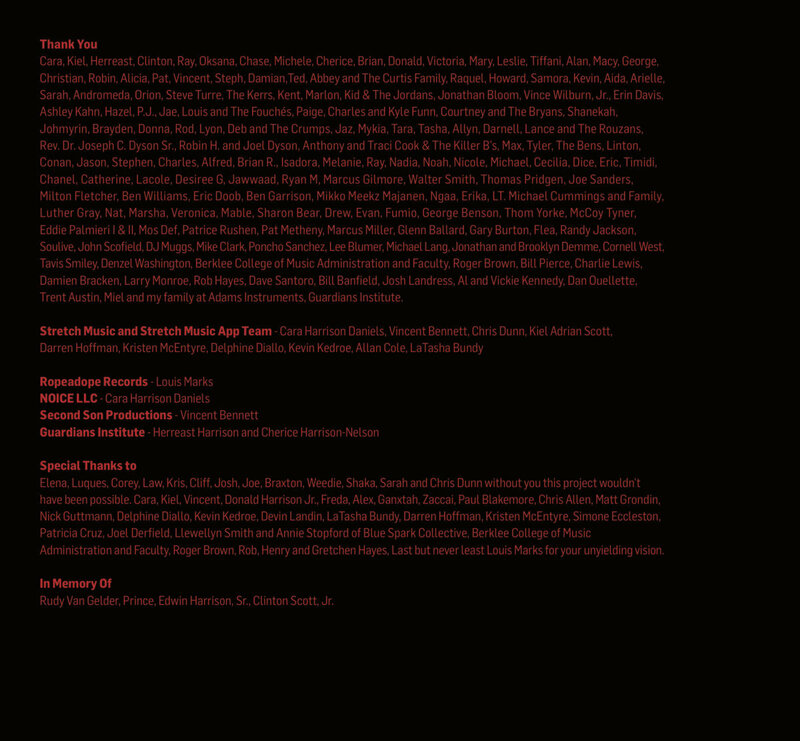 Gratitude was masterfully produced by legendary producer, Matt Pierson, and Stephens and his band were guided by music from a number of incredible composers, such as Aaron Parks, Michelle Amador, Rebecca Martin, Billy Strayhorn, Louis Cole, Massimo Biolcati, Pat Metheny, Olivier Manchon and Julian Lage. 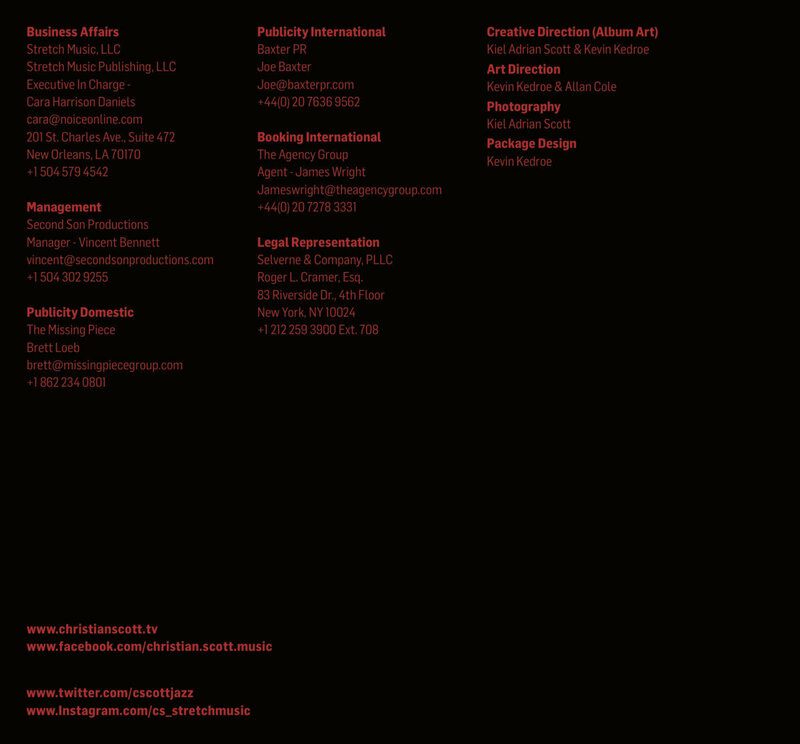 Emilie was introduced to me by violinist/composer Olivier Manchon. He dedicates it to his sister Emilie and its got a nice, simple melody that when combined with the pleasantly unexpected harmony creates a beautiful song to connect with. A dear friend, pianist Aaron Parks, wrote In A Garden. I’ve had the pleasure of playing the composition with him on several occasions and it often paints scenes for me one would find in a fantasy movie. Some of the visuals in the Robin Williams movie, What Dreams May Come, come to mind. Amber Is Falling (Red and Yellow) was written by vocalist/composer Michelle Amador, and has been on my list of favorites since the mid 2000s when we played it in San Francisco with her group, Michelle Amador and the True Believers. The Timbre of Gratitude is the only original song of mine on Gratitude. In a loose way the happy sounding beginnings of each new section represent the many positive moments of encouragement I have received throughout my journey thus far. Don’t Mean a Thing at All is a song written by the wonderful vocalist/songwriter, Rebecca Martin. I first heard her sing it in a duo setting with our bassist, and her husband, Larry Grenadier, and immediately fell in love with its melody and lyric. Woodside Waltz refers to a city in Northern California called Woodside, which has tons of scenic views of the SF Bay through tall redwood trees. While recording it we discovered that the recording studio (The Club House in Rhinebeck, NY) had a tack piano, which was perfect for bringing out the essence of this gem written by our guitarist, Julian Lage. The entire band was even willing to tune down our instruments, a dozen cents flat or so, to match the tuning of the piano, which hadn’t been given any TLC in some time. We Had A Sister is a hauntingly beautiful song by Pat Metheny. I first heard this tune, as a young, fledgling saxophone student, on Joshua Redman’s second release, Wish. Since that time it’s remained a song I’ve wanted to record. Isfahan is one of many masterpieces by the great Billy Strayhorn. I’m reminded of Joe Henderson’s version he recorded on his album, Lush Life-The Music of Billy Strayhorn. I really admire how personal and intimate Henderson’s playing was, which is why I felt it was a good idea to do this one as a trio with Larry and Julian. Clouds is one title for two songs written by two composers, bassist/composer Massimo Biolcati and drummer/producer/composer Louis Cole. Biolcati’s melody, a tune I’ve played many times while we were both in the Monk Institute, is full of nice, intricate surprises. Cole’s version was my introduction to his unique, magical sonic world, which I have since become a huge fan off. 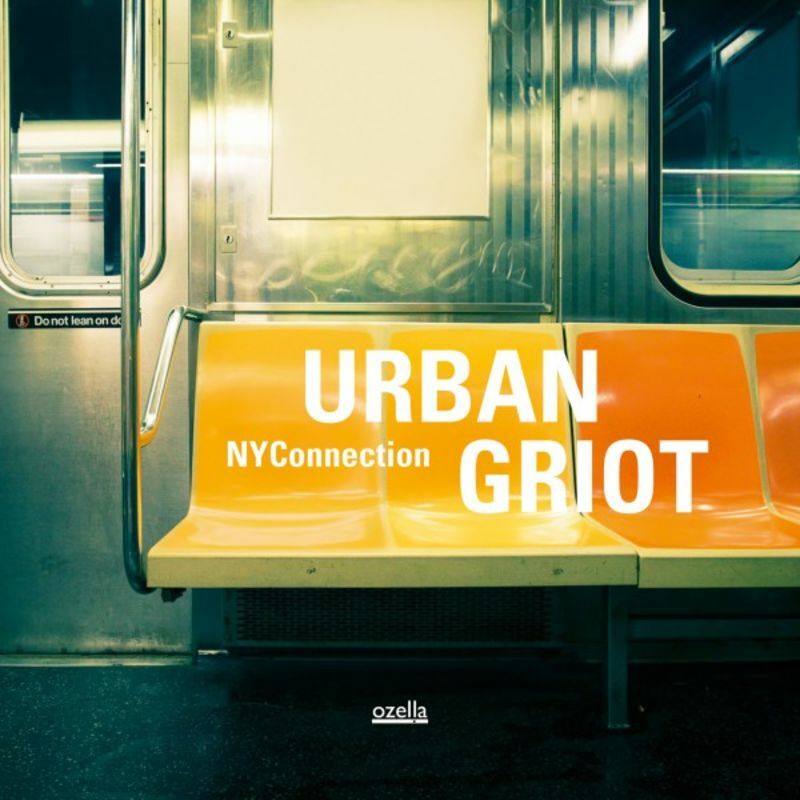 „Urban Griot“ is the debut album by jazz quartet NYConnection, formed by Finnish drummer Jaska Lukkarinen and Israeli pianist Roy Assaf. Inspired by the griots of West Africa, NYConnection think of themselves as jazz storytellers. In their innovative compositions between bebob, folk and avant-garde song structures disappear in a whirl of dialogue and friction. Sometimes quiet, sometimes louder, always exiting. 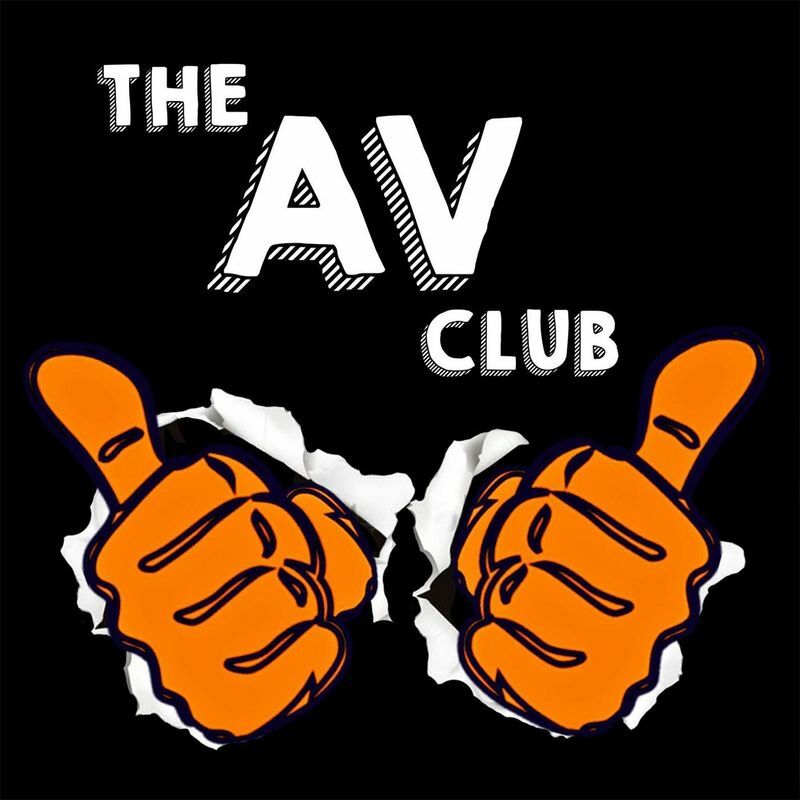 The debut album from the Chicago based instrumental jazz fusion band, "The AV Club"
“On Parade in Parede” was recorded when Eisenstadt and company played a series of concerts at SMUP, an intimate venue in Parede, a beach town near Lisbon, during their spring 2016 Europe tour. The place inspired the title. An homage to his birth country (he’s lived in the US more than twenty years), Canada Day offers a universal music, not just dedicated to North America, but also to Africa, Cuba, and Europe. Here Eisenstadt reunites Americans Nate Wooley and Matt Bauder with French-German Pascal Niggenkemper. 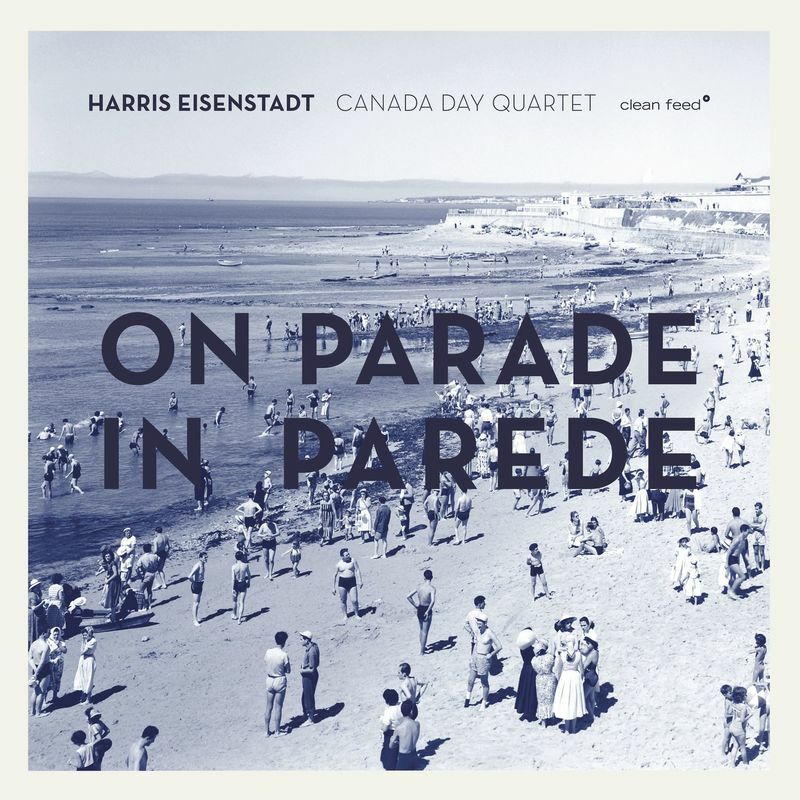 Though Eisenstadt’s flagship ensemble has released five recordings in the last decade (four quintets and an octet), here you have Canada Day’s very first quartet recording. If there’s a good side of present day globalization, this is it. 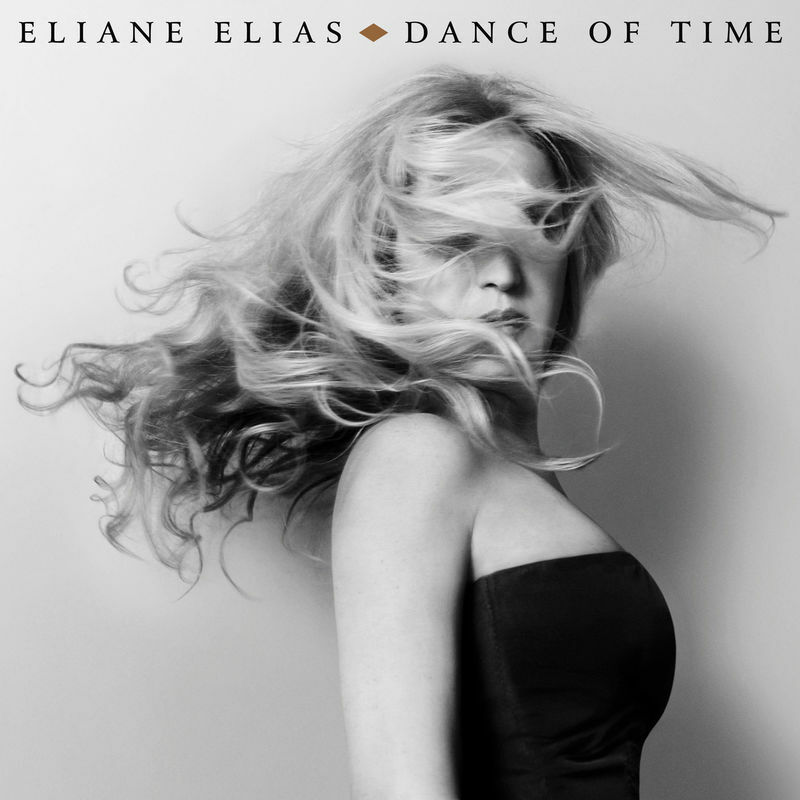 Two years after seducing fans with her GRAMMY®-winning Made in Brazil (Best Latin Jazz Album), the internationally acclaimed pianist, singer, composer and arranger Eliane Elias returns with the ebullient Dance of Time. Dance of Time, like its predecessor, was recorded in Brazil. "Recording in Brazil was such a high,” explains Elias as to why she returned to the country. But thematically, Dance of Time is its own beautiful beast. Whereas Made in Brazil was a tantalizing toast to three generations of Brazilian composers, Dance of Time’s themes are multifold. Whit Dickey is a veteran free jazz drummer who first made his mark in David S. Ware’s band in the 90s and led on some well-regarded albums around the turn of the millennium. Since then he’s mostly kept his profile raised as a member (until 2015) of Matthew Shipp’s revered trio and appearing in many of Ivo Perelman’s recent cascade of full-improv rides. In fact, Dickey’s upcoming, first new album in more than a decade sprung from a conversation Dickey had with Shipp while recording with Perelman; the good vibe they got from that session led to them working together again but under Dickey’s leadership. Even better, viola master Mat Maneri joined them at Shipp’s suggestion. That makes Vessel In Orbit (March 24, 2017, AUM Fidelity) a reunion of sorts, since it carries over the same lineup from Dickey’s Life Cycle (also on AUM) from sixteen years earlier, less alto saxophonist Rob Brown. It’s all group improvisations, because, well, that’s how the finest from NYC’s downtown scene roll. Thusly, the success of this music rests on telepathy, and these guys know each other so well. 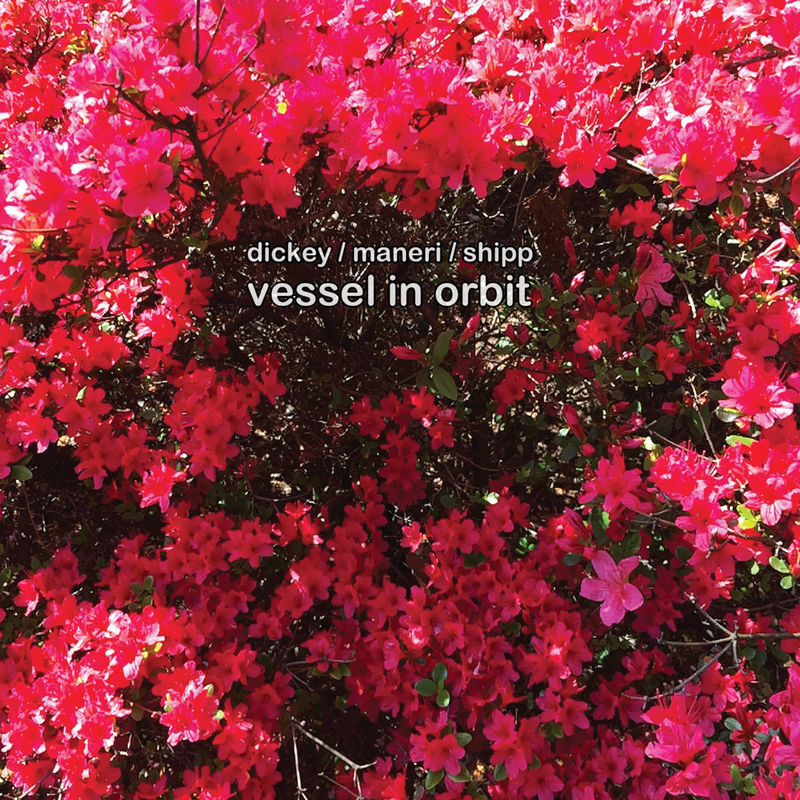 The symmetry of two old cohorts Dickey and Shipp comes to the fore with “Spaceship 9,” with Shipp setting the pulse with a single, repeating note, freeing up Dickey to flutter around it, and Maneri seizes upon his role of flushing out most of the harmony parts. Shipp’s piano opens up melodically on “Space Walk,” interacting with Maneri’s viola while Dickey rustles below, underscoring the uneasiness lying beneath the prettiness. Shipp largely tests the lower end of his register on “Dark Matter,” Dickey with him every step along the way on Shipp’s journey over peaks and valleys. Maneri and Shipp do a delicate dance around each other on “Galaxy 9,” Dickey adding punctuation; viola and piano layer on more density (especially when Shipp goes into full chord mode) and with that, tension. Maneri’s viola, sweetly sorrowful “To A Lost Comrade,” gets empathetic support from Shipp and Dickey. Dickey’s drums here show a very patient approach, processing inputs from Maneri and letting that guide his path. Dickey tees up “Space Strut” with fastidious cymbal and rim work, setting into motion a fully developed spontaneous composition. Conceived as it was played, Vessel In Orbit is unpredictable, melodic and has form built around emotion not formal structures. When it’s done by such elastic artists like Whit Dickey along with Matthew Shipp and Mat Maneri, it all comes together beautifully. 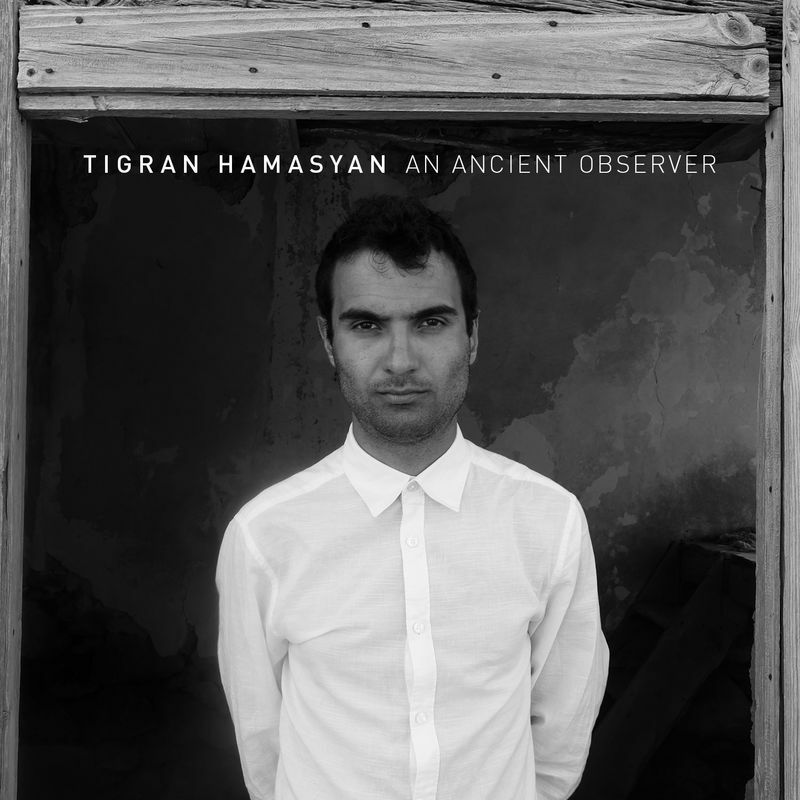 Nonesuch Records releases its second album from pianist Tigran Hamasyan, An Ancient Observer, on March 31, 2017. An Ancient Observer is the follow-up to Hamasyan's label debut, Mockroot, of which the Guardian said, "A phenomenal piano player, an irrepressible entertainer, a promising experimenter with hi-tech gizmology and a creative world-music composer. Mockroot plays vivaciously to all those strengths." The musician says of his new solo recording, which features ten new compositions: "These songs are musical observations about the world we live in now, and the weight of history we carry with us." Hamasyan will tour the US in February and March, then Europe in the spring; see below for the currently announced dates. An Ancient Observer is available to preorder now at iTunes and the Nonesuch Store with an instant download of the album track "Fides Tua." You can watch a live performance video of that song below. An Ancient Observer's songs—two of which are based on Armenian melodies—were written over the last four years. Some of the pieces are through-composed and completely written out, while others are composed with ample space for Hamasyan to improvise. Many include vocals layered into the mix. As with most of his compositions, Hamasyan cites a wide range of influences, from Baroque dance to hip-hop, with pedals connected to a synthesizer on a few tracks—while the sounds of his native country also are present, as always. Hamasyan has returned to Armenia, where his daily life inspired these new pieces: "I gaze out of my window and see the biblical mountain Ararat with perpetual snow on its peak, with electrical towers with wires in the foreground cutting the picture, and satellite dishes melted onto old and modern houses—ancestral smoke coming out of their chimneys—and birds hovering above the trees along with occasional airplane trails in the vast sky. It is a dialogue, this interaction of God-given ancient nature with our modern human achievements," he says. "For me it is an awakening, and a beautiful feeling, to be able to observe the magnificence of this sleeping volcanic giant, which has existed for millions of years and was observed by the Ararat Valley Koura-Arax culture through to the present day citizens of the Armenian republic. I can see and observe the same birds, animals, rivers, and mountains that the craftsman of 4,000 years ago painted on a clay vessel. He was observing the same thing I observe now, and what remains is his or her beautiful work of art." 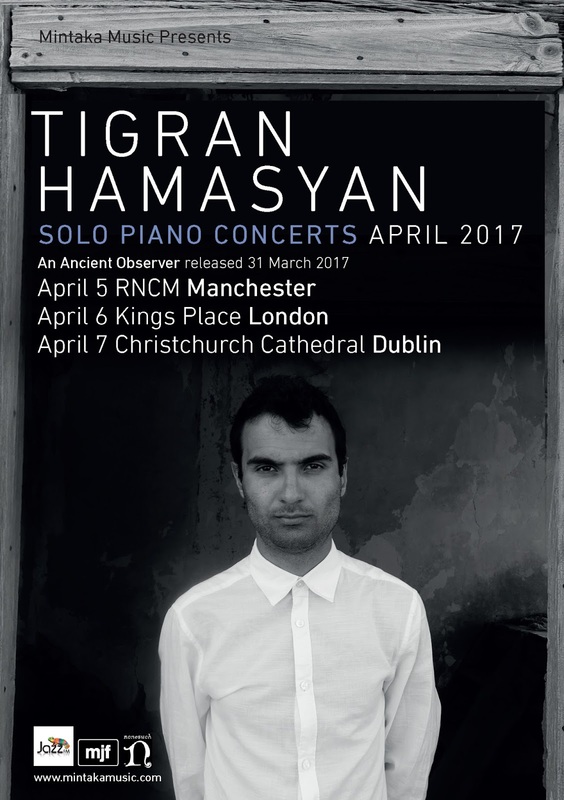 Born in Armenia in 1987 before relocating with his family to Los Angeles in 2003, Tigran Hamasyan currently resides in Erevan, Armenia. He began playing piano at the age of three and started performing in festivals and competitions when he was eleven years old, winning the Montreux Jazz Festival's piano competition in 2003. Hamasyan released his debut album, World Passion, in 2005 at the age of seventeen. 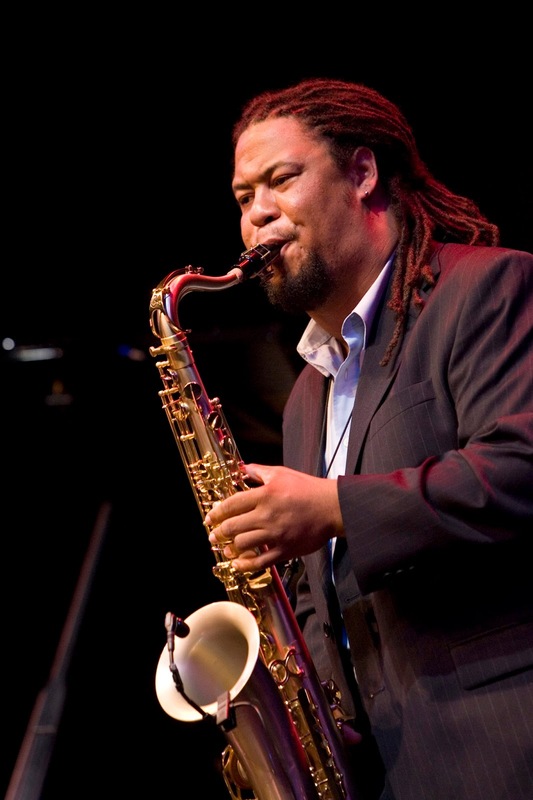 The following year, he won the prestigious Thelonious Monk International Jazz Piano Competition. Subsequent albums include New Era (2007); Red Hail (2009); A Fable (2011), for which he was awarded a Victoires de la Musique (the equivalent of a Grammy Award in France); Shadow Theater (2013); Luys i Luso (2015); and Mockroot (2015), for which he won the Echo Jazz Award for International Piano Instrumentalist of the Year. In addition to awards and critical praise, Hamasyan has built a dedicated international following, as well as praise from Chick Corea, Herbie Hancock, and Brad Mehldau.